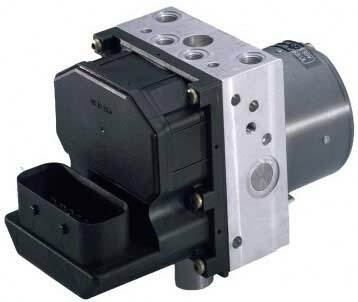 A common failing part on all Mercedes Sprinter vans from 2000 – 2006 is the Bosch 5.7 ABS Pump & module unit. There are many faults this unit can have but one very common fault is the C1401 fault code. The above fault code is a very common problem with this type of ABS pump and will cause the ABS light to come on. It is an internal fault within the ABS pump and modulator unit and would normally require replacement at a very high cost. The fault is due to components running at 70% maximum threshold for long periods and eventually become faulty. Replacing it with a like-for-like part will solve your problem short-term but expect the new part to develop the same fault in the future. We can remanufacture the unit and when doing so, we will use uprated components to ensure that each and every Mercedes Sprinter ABS pump will be repaired to meet & exceed OE specifications. This will ensure your ABS pump and modulator will not fail again in the future and we back this claim with our Lifetime warranty. Below is a list of some common part numbers associated with this type of ABS pump unit. If you have any questions, give us a call on 0844 847 9999 and we’ll be happy to assist you. Tags : 0 265 224 086, 0 265 224 089, 0 265 900 017, 0 265 900 045, 000 446 30 89, 00004466289, 0004463289, 0004465789, 0004466889, 0025401445, 0265 224 086, 0265224040, 0265224067, 0265224085, 0265224089, 0265900034, 0265900035, 0265900041, 0265950098, 0265950138, A 000 446 57 89, A 000 446 62 89, A 001 540 99 45, A0004465189, A0015409945, Mercedes Sprinter ABS Light On, Mercedes Sprinter ABS Pump Fault.